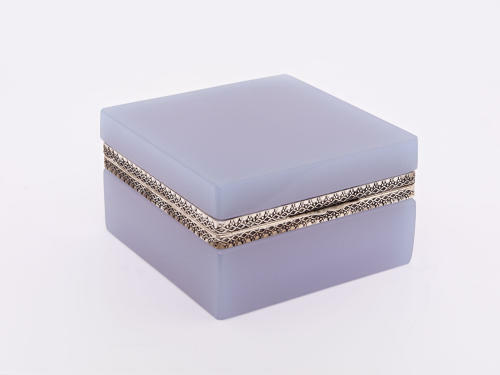 Black, white and lilac antique opaline square boxes from Murano, Italy. Circa 1970. With silver mounts and lift clasp.